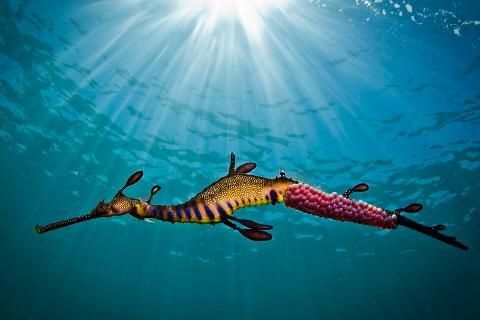 For those wishing to try snorkeling, explore the beautiful under water world and see the rare Weedy Seadragons in their natural habitat – this is the tour for you! Learn all about the marine life of Port Phillip Bay in a relaxed coastal setting with Bayplay’s professional interpretive guides. This is the perfect fun, family holiday activity - even for non-swimmers! Tours begin with your friendly and highly experienced guide demonstrating the basics of snorkeling covering; equipment usage, in-water communication, snorkel & free diving skills as well as information on the marine life you can expect to encounter. Then it’s a short walk & plunge off the Portsea pier where you’ll encounter an array of mesmerizing marine life including; soft corals, sponge life, Hermit Crabs, Puffer Fish, Star Gazers as well as Weedy Seadragons. Tours depart daily at 2.00pm. Private Groups can be arranged. Pack for the Beach - Bathers, Towel, Hat & Sunscreen. 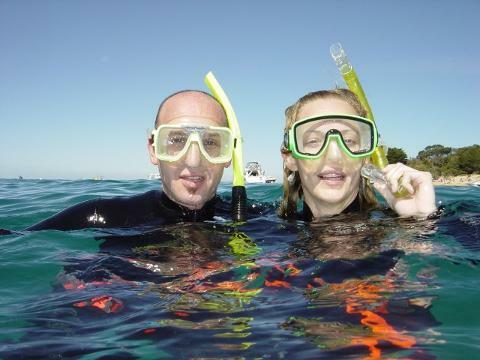 The minimum age for participants of this snorkel tour is 6 years. Families with younger children are catered for separately in a tailored tour.